Our website (trackingshipment.net) is not affiliated with Singapore Post. Please be advised that Singapore Post - tracking service has just been added to our service, and we haven't enough time to collect a lot of information about popular questions. At the moment all results are being represented without our correction. You can ask any question about it; we will find an answer to it. We will make a FAQ in the short time. Be noted that USPS track package option can not be provided by this courier. Looking for a reliable SG Post tracking service? You came to the right place, because on this website you can find out a precise location of your mail or package, sent via this company. Besides, everyone interested in the Singapore Postal tracking service can use it for free here. This company has already been in logistics business for 150 years. This is the leading postal service provider in the country and thousands of people use its range of services every day. It is acknowledged to be a reputable company, which guarantees only on time delivery. 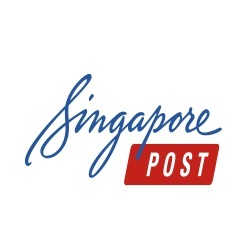 Nowadays, SingPost also specializes in eCommerce logistics and offers a scope of innovative logistics and mail solutions. The Singapore Post track service allows every customer to trace the delivery process in a real time mode. The company operates not only within the country. This is the global postal service, which operates in 19 markets. In these latter days, this is the leading provider of international and domestic postal services. For more than 100 years the company has been working on the improvement of its spectrum of facilities. Now, when you defer to the services of this company, you can rely on their experience. · Sending within the country. This service is responsible for local deliveries. Those, who are greatly concerned over the shipment process, can enjoy the benefits of the SG tracking system. · Sending Overseas. With this service, you can send or receive international deliveries. Any type of mails or packages can be sent abroad via this service. Though the company is known for its fast deliveries, the SG track service simplifies the process of waiting for the parcel or mail. Sometimes, mail tracking is of prime importance. · Financial Service. In this area, the company offers plenty of financial solutions, like insurances, money transfer, credit bureau, etc. Customers also have an opportunity to buy transport tickets via this company. Except for the above listed services, Singapore Post offers you a scope of business solutions, like eCommerce, logistics, marketing and mail services. Therefore, if your business is relied on reaching load or mail deliveries, Singapore Post knows what to offer. If you are one of the consumers of this well-known company, you surely have the code of your package (Singapore Post Track number). You should enter it in the required field above, wait until the system will generate the report and see where your parcel is at the moment. The service operates in the online mode – to check this information you need a stable Internet connection and any mobile device. Besides, you can enjoy the benefits of k2track too. This is a reputable tracking service, which lets you to check the locality of delivery items, delivered by the world logistics companies. The service is free and nothing but a tracking number is required.